Born in Montréal, A.Y. 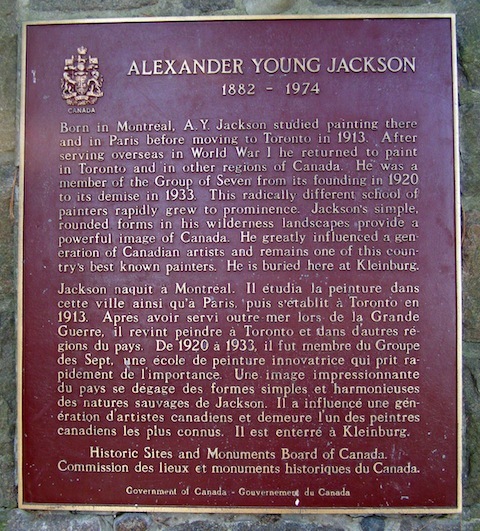 Jackson studied painting there and in Paris before moving to Toronto in 1913. After serving overseas in World War I he returned to paint in Toronto and in other regions of Canada. 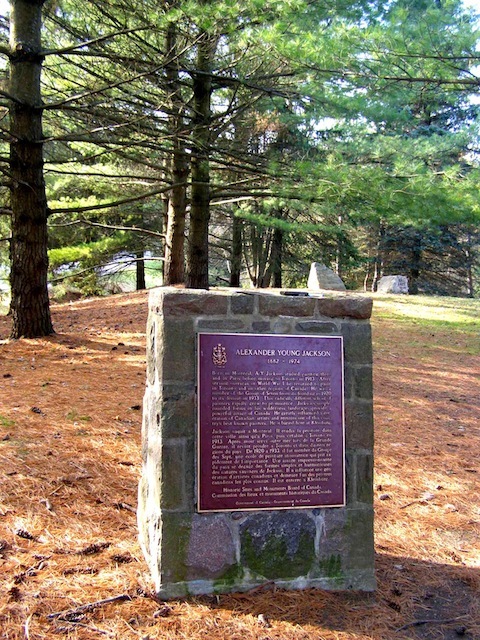 He was a member of the Group of Seven from its founding in 1920 to its demise in 1933. This radically different school of painters rapidly grew to prominence. Jackson's simple, rounded forms in his wilderness landscapes provide a powerful image of Canada. He greatly influenced a generation of Canadian artists and remains one of this country's best known painters. 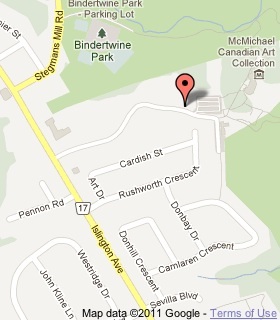 He is buried here at Kleinburg.